With our huge industrial experience, we ensure our range of rubber components withstand extreme temperature range. Manufactured from superior quality raw material, we ensure our rubber components exhibit unique expansion and contraction properties. Our range finds its application in automobile, engineering, textile and many more industries. Our rubber components are reckoned for improved functionality and superb performance. Our product range includes moulded rubber product, O-rings, Diaphragms, Oil Seals, Rubber Sheets, Heat Exchanger Gaskets, Inflatable Seals, Polyurethane, Silicone Tubing and many other products. 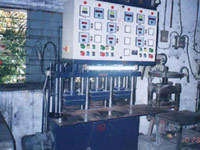 Entire designing operations, starting from designing to finish rubber products are carried out in-house manufacturing unit. 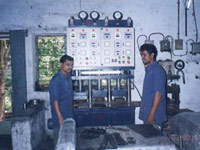 Our customization facility enables us to have a competitive edge over our competitors.